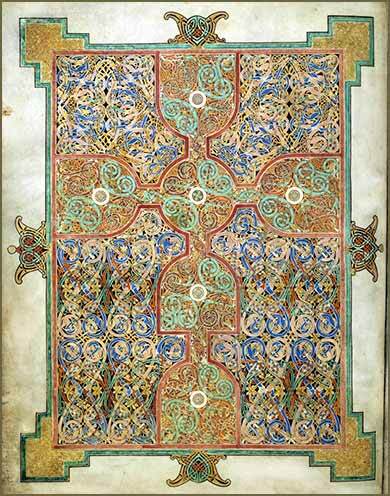 Evangelarium from the Lindisfarne Gospels, created around 700 A.D. at the island monastary of Lindasfarne, off the northeast coast of England. Unforgiveness is like drinking poison and hoping the other person dies. And the Lord said to Moses, “Thus you shall say to the people of Israel: ‘You have seen for yourselves that I have talked with you from heaven. You shall not make gods of silver to be with me, nor shall you make for yourselves gods of gold. An altar of earth you shall make for me and sacrifice on it your burnt offerings and your peace offerings, your sheep and your oxen. The repetition or elaboration on the second commandment seems to clarify it some. There was a huge historical debate about depicting people, saints, God, and even the cross in churches; wars were fought and people killed over this question. Catholic and Orthodox worshippers, at one extreme, worship in front of paintings and statues of Christ, the Virgin Mary, and various saints. At the opposite extreme, very "protestant" Protestants, such as Anabaptists and Puritans, refuse to have any physical representation of a person or God in church. No stained glass windows, and often not even a cross on the wall; their worship is to the invisible God. One cannot fault a congregation which doesn't have any paintings or statues; there is surely nothing in the Bible that says "put a cross on an altar and depict Christ's life in stained glass windows." On the other hand, the meaning of the second commandment, taken along with today's verses (and other verses), seem to show that such depictions fall outside the intended prohibition of "graven images". The ancient Jews (and Orthodox Jews today) would have sided with the Puritans on this; they were and remain very strict about not having paintings or statues of any person in their temples and synagogues. But the primary prohibition intended by the stricture is to prevent syncretism (adding other gods) and polytheism (worship of multiple gods). An idol worshipper believes that the idol itself magical, that is contains a special spiritual pathway to the god being worshipped. But the main point is to suppress worship of unrelated heathen gods, figments of mythological imagination separate from Yahweh Himself. The first form of worship defined by God is also interesting. 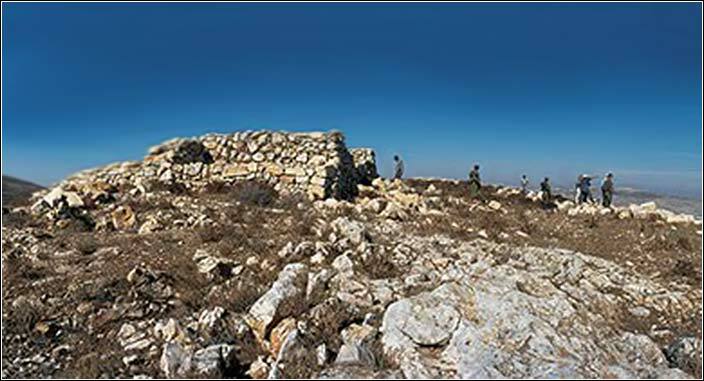 He wants an altar of stones piled in the desert which have not even been cut into rectangles, so that it will not be profaned by the tools used to cut it; and, He demands that it sit at ground level so that the people — possibly sitting, kneeling, or prostrate — won't be able to see up the priests' garments! This passage is interesting in its insistence on extreme primitivism in worship. Nobody worships like this today. In the coming verses and books, God will require the building of a fairly nice temple (with minutely detailed specifications), so even the most Orthodox Jews do not pile rocks in a field and kill sheep and goats to burn upon it. We do continue, however, to sacrifice in our worship services. The communion service, which is followed in some fashion by almost every Christian sect, recreates the sacrifice of flesh and blood made by Christ. So, as strange as the rituals of the Pentateuch may sound to us today, we retain a direct connection to them in modern worship.